Now that I am home and telling everyone stories of my adventures, I have been thinking about the adventures I have had and want to have. 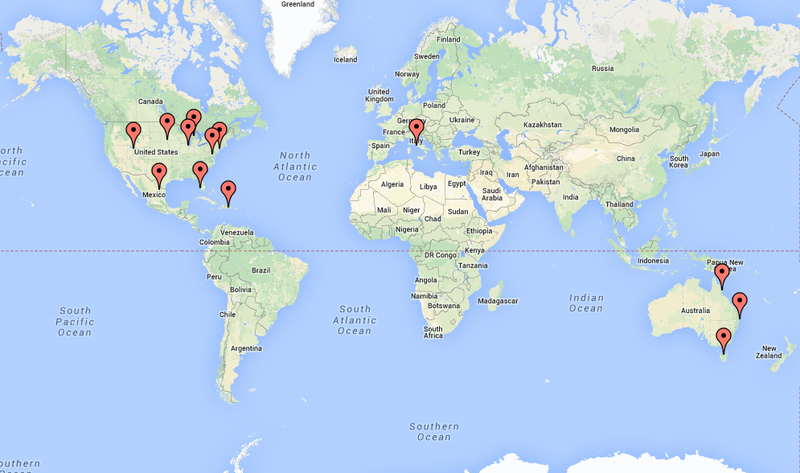 I made a map to help myself visualize where I have been. My international trips have been (in order of occurrence) to Rome, Italy, Monterrey, Mexico, Santo Domingo, Dominican Republic, and up and down the east coast of Australia. I feel so blessed to have been to these places and experienced different cultures! I still have a bucket list of places to visit! Australia – Uluru in the outback and Perth? Fiji – I hear the scuba diving is amazing! Costa Rica – on a yoga retreat maybe?